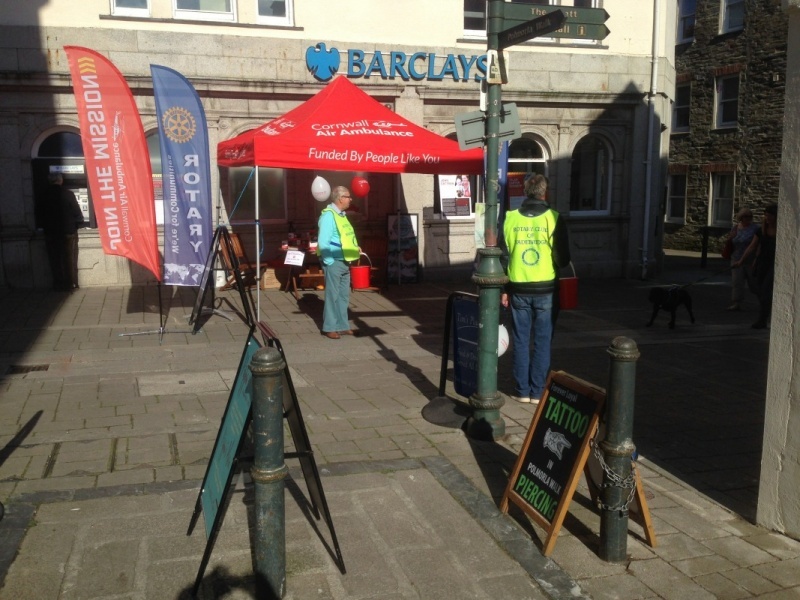 Ten Rotarians from Wadebridge took part in a whole day street collection in Molesworth Street to enable people to donate towards the cost of a replacement Air Ambulance. It was a superb day, with fantastic weather. 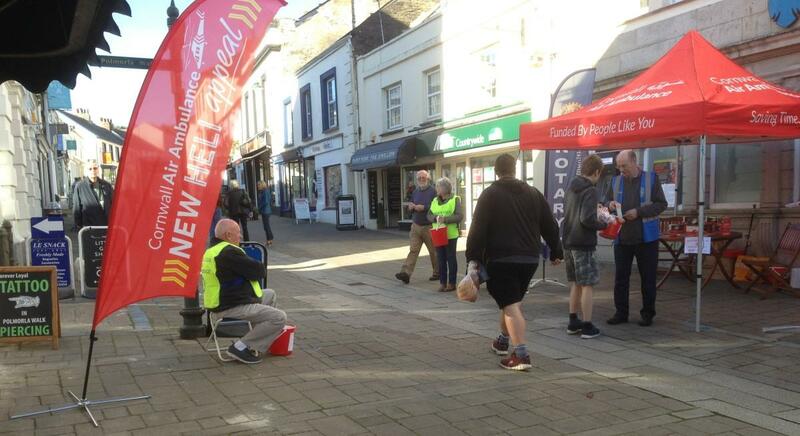 As usual, there was a good response from the Wadebridge public, although the footfall was markedly lower than normal. A gazebo and advertising banners were supplied by the Air Ambulance Trust, supplemented by Rotary banners. The final total collected was £601.50 which will be forwarded to the Trust. Wadebridge Rotary thanks all who donated this magnificent sum.